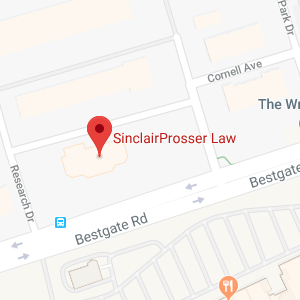 As the current owner of SinclairProsser Law, Jon oversees the law firm’s operations from the moment a client engages the firm, to providing ongoing support to families through times of incapacity, and lastly, settling estates upon a loved one’s passing. Estate planning is a lifelong endeavor and Jon believes it is of the utmost importance that a family’s estate planning attorney is there to assist and educate through all stages of life. Jon Gasior’s initial interest in becoming an attorney was sparked by the desire to help others accomplish their goals in preserving and protecting their wealth while maintaining their family values. Jon is dedicated to educating the public on the estate planning choices they can make to provide both financial and emotional security for their families and loved ones. He accomplishes this educational focus by providing free estate planning seminars throughout the year. As the owner of the law firm, it is Jon’s mission to address each client’s goals for their estate plan. By identifying their goals he can educate, guide, and counsel as to the different tools and options that will effectively and efficiently accomplish those goals. 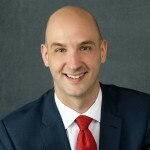 Jon Gasior is admitted to the Maryland Bar and is a member of the Maryland State Bar Estates & Trusts and Elder Law & Disability Rights Sections. He has also served on the Elder Law & Disability Rights Section Council. He has presented educational seminars on estate planning and incapacity for organizations such as National Business Institute (NBI), National Association of Insurance and Financial Advisors (NAIFA) and the ARC of Prince George’s County. Previously, Jon worked for McCabe, Weisberg & Conway, LLC. He handled default servicing on residential loans acting as a liaison between multi-national financial institutions and their customers who were faced with extremely difficult circumstances. Jon attributes his passion for learning and high attention to detail to his success in providing equitable solutions for his clients. In addition, Mr. Gasior was an advocate for Wake Forest’s Elder Law Clinic where he drafted wills, advanced directives, healthcare and durable powers of attorneys. He also advised on Medicaid planning and consumer debt issues for the elderly. Jon received his Bachelor of Arts in American History with a minor in Legal Studies from the University of Rochester. He went on to receive his Juris Doctor from Wake Forest University School of Law and was awarded the CALI Excellence for the Future Award for the highest grade as a student advocate in the school’s Elder Law Clinic. As a member of the American Academy of Estate Planning Attorneys, he annually completes 36 continuing education credits in Estate Planning and Elder Law which incorporates special needs planning, Medicaid and incapacity planning, as well as keeping abreast of the ongoing changes in the law. Mr. Gasior was born in Colorado Springs, CO, and grew up mostly in Massachusetts. He currently resides in Annapolis with his wife, son and their miniature schnauzer. Together they enjoy staying physically active and traveling, as well as the many amenities that Maryland has to offer.